We haven’t been this excited in a while! 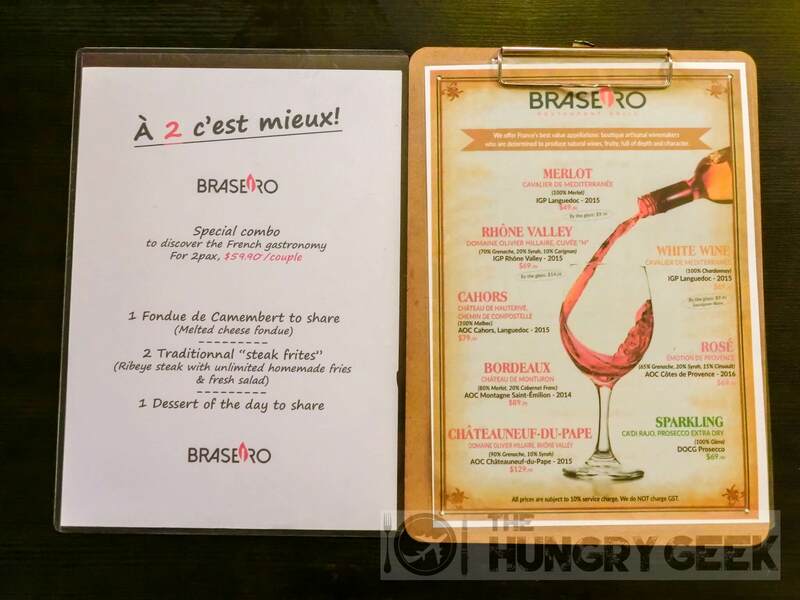 Alex, the owner of Braseiro, got in touch with us about their French steakhouse, with ribeye steak and unlimited gourmet fries and fresh salad. Now, as with all French food, one thinks of nothing but culinary excellence. 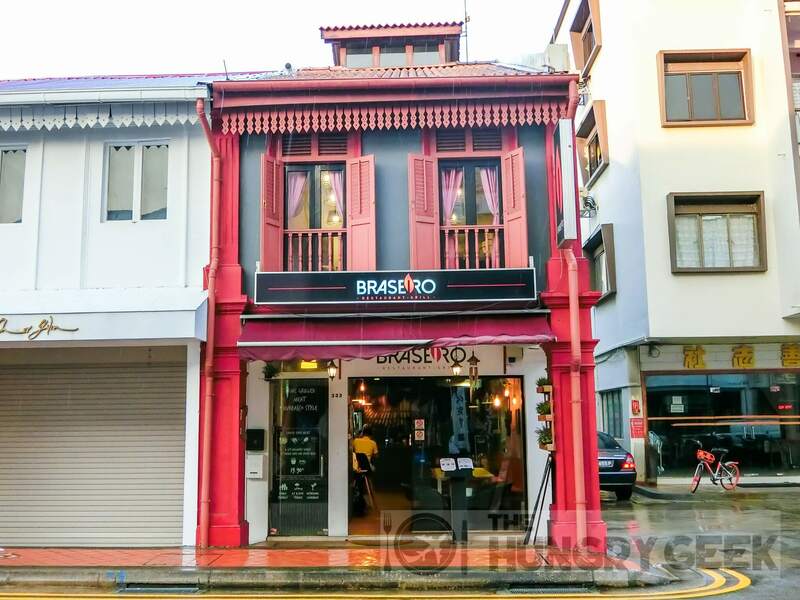 Located at Joo Chiat Road, Braseiro is in the heart of the East Coast food district, where food establishments have to serve perfect and trendy food or close down. 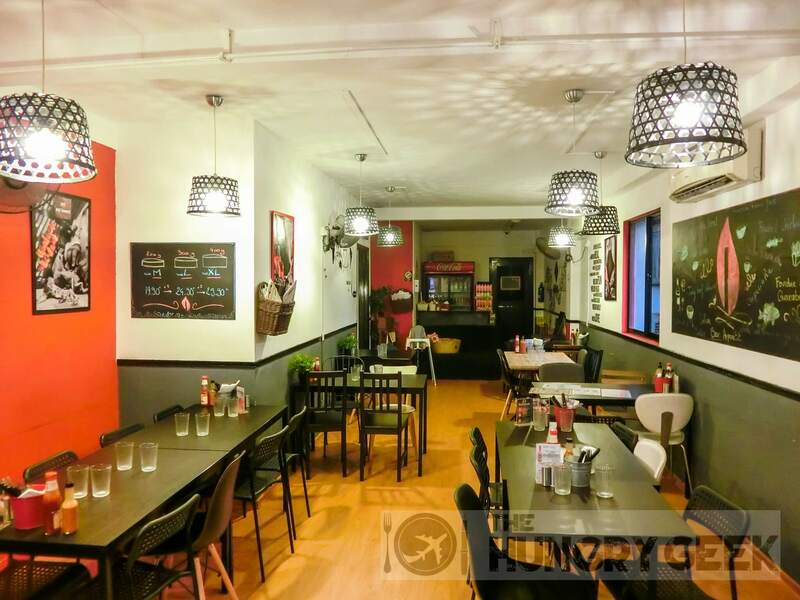 The competition in this area of Singapore is insane, with highlights such as Katong Laksa, Al Forno, Brownice, Boon Tong Kee Chicken Rice, Sinpopo, Katsuya, Geylang Lor 29 Hokkien Mee, Chin Mee Chin… the list goes on. 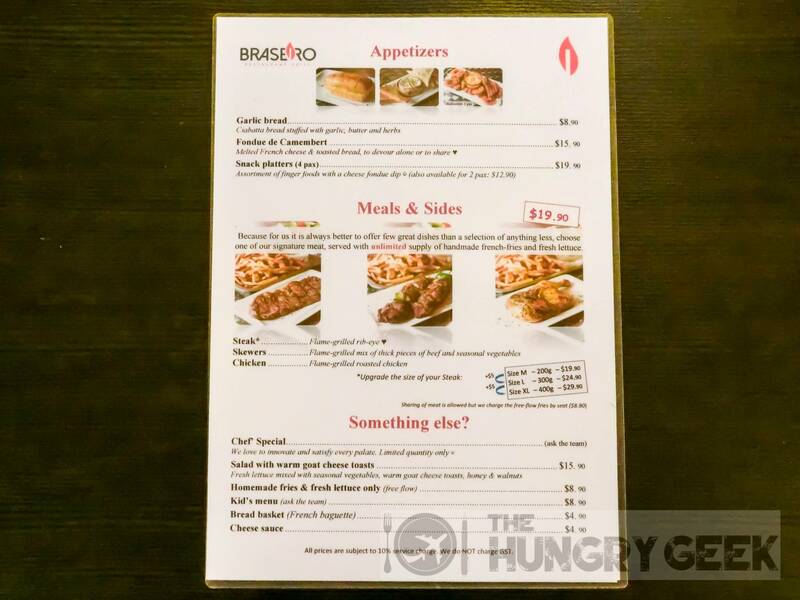 That Braseiro has managed to survive in this neck of the woods for 2 years is a testament to their food appeal. There is top notch service here, with the owner himself coming out to entertain the guests. 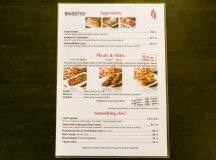 The mains are all priced at S$19.90, with a choice of steak, skewers or chicken. All mains come with unlimited gourmet fries and fresh salad. They have a nice drinks and dessert menu as well, with this special poptail drink, which is essentially a cocktail with a stick of ice cream! 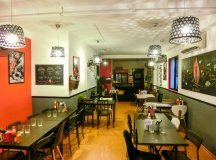 There is a special set combo for two that includes 1x Fondue de Camembert, 2x Steaks (free-flow fries and salad included) and 1x Dessert of the day for only S$59.90 per couple. Few restaurants get their bread right, and we must say that Braseiro has really nailed this dish. Fondue de Camembert is essentially toasted bread with melted French cheese! The toast is done to perfection, with the ultimate level of crispiness. The melted cheese is delightful, and when paired together with hot and crispy toasts, it makes us wonder why we can’t find this everywhere! We rate this delightful dish a super delicious 4.4/5 and it is priced at S$15.90. It’s not the cheapest, but good things don’t usually come cheap. This is really the bomb! Okay so we added the word ‘gourmet’ here. These are free-flow fries that comes with the mains, and they are not your ordinary fries. Not the pre-cut frozen fries, but fries that are made from potatoes right here at Braseiro. It looks delicious and it tastes wonderful. Fries has always been a difficult dish to rate. We personally use McDonald’s fries as a benchmark, and go from there. Unfortunately, no matter which restaurant we visit and no matter how much money we spend, very few restaurants can come close to the flavour profile that we see from McDonald’s fries. Now that is just sad. We must mention PS Cafe’s fries and Privé Grill’s duck fat fries probably the nicer ones out there. 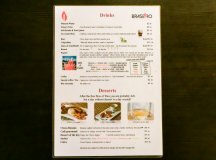 We are glad to say that we were very happy with the standard of fries here at Braseiro, especially free-flow ones at that. Crispy and flavourful. We give this a 4.3/5. Well, this is a S$19.90 main that comes with free-flow fries and salad. We are not the ultimate steak connoisseurs, but we’ve had our fair share. The steak here is flavourful, however the tenderness was not quite as perfect as the $100 steaks at some of the more upmarket restaurants. Well, if you only eat super atas (high-class) steaks and your palette has been completely spoilt, you may wish to consider the skewers or chicken instead. However, for the rest of us that loves steak, the rendition here is pretty good given the super value pricing. We rate the steak here 3.8/5. Sparkling Passion Fruit Poptail – delicious! 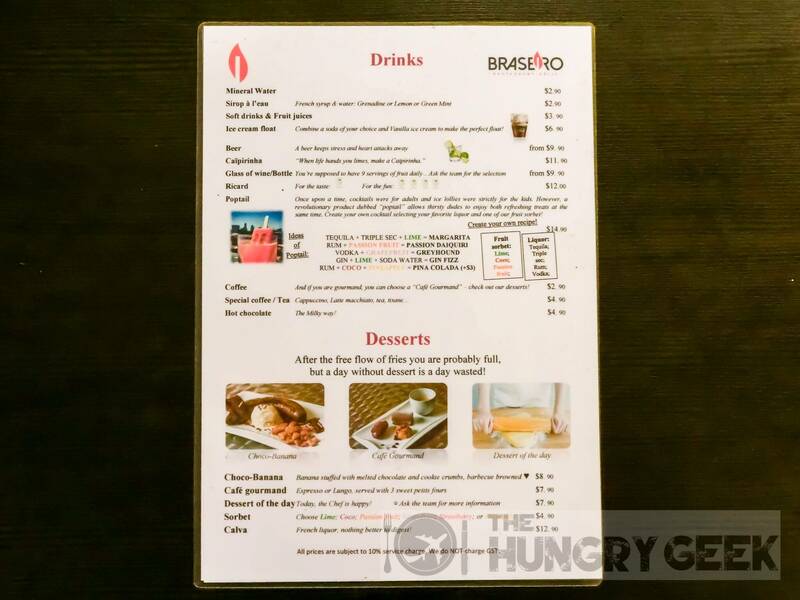 Braseiro is the story of a French guy, travelling the world after graduating, and landing in Singapore. He landed with a splash and he has successfully set up a French restaurant in the heart of Singapore’s most competitive cut-throat food scene, surviving for an epic 2 years. This is a testament to Braseiro’s quality of food and service. 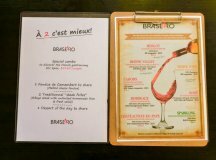 If you are in the east, Braseiro is definitely a must try! 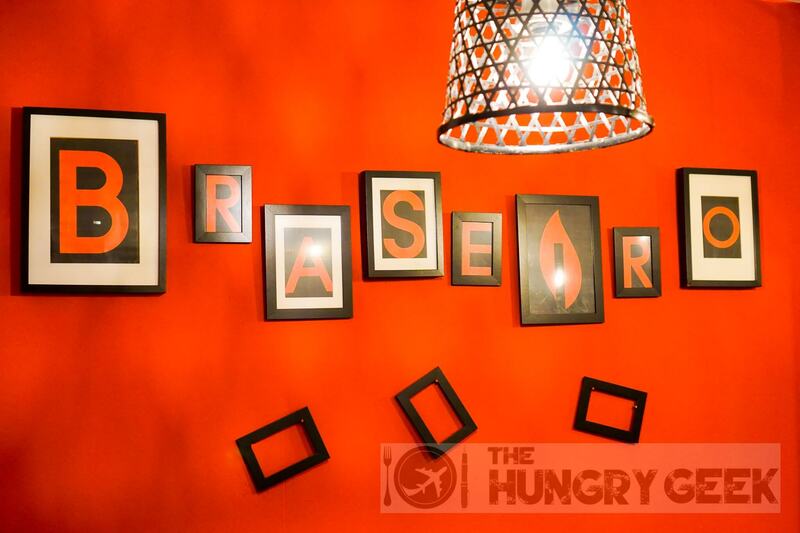 Paper Crane – Hidden Gem with a Gourmet Chef! 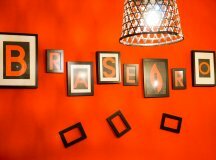 In "Singapore Cafes"